What should person do for his parents. In India parents are as a god. Children take a birth due to their mother & father. Mother suffers a great pain at the time of child`s birth. It is due to her love on child. After birth of child mother & father take care of child. They are in tension if child is ill. They do not sleep for safety of child in its illness. They give medicines to it on time. They teach it to talk, to walk. Parents are happy due to entry of child in their life. When child become 3 to 4 years old, parents take admission for it in a school. They buy books, note books, pen, pencil bag etc for it. They guide it for study. Parents meet with teachers to know progress of their child. Parents angry on their child, if it does wrong things or do not pay attention in study. But it is only for child`s progress. Parents buy good dresses and toys for children. Mother cooks tasty food for child according to its interest. Parents teach good things to child. They tell good stories to child. Some parents are poor. They are not able to teach engineering, medical or higher education to their child. But they want to give education to their child. So they do extra work for their child. Some time they do not enjoy their own life, only for their child. Higher education is costly. Student has to go at different cities for education. He has to stay at hostel. He has to take food at hotel. College fee is also high. Books are also costly. All this cost is very high. 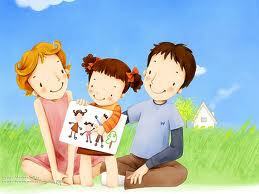 But parents try their best to fulfill child`s requirement. After completing education, person gets good job. Then parents arrange his marriage. Parents also help their children after marriage. Now child become younger. He earns good money. What to do for parents when child is young? 1.Person should always remember what his parents did for him. He should give respect to them. 2.Generally this is a time, when parents get retirement. So they have need of money. Person should know parent`s requirements. He should buy those things for parents, which are necessary. 3.He should buy good dresses for his parents. 4.Person should take care of parents in their illness. He should give medicines to them. He should check up his parents from good doctors. 5.He should talk with his parents. He should take advice from his parents. 6.He should never give admission to his parents in old age homes. Because in this age parents want to be with their children, grandson & granddaughter. 7.Thus he should keep happy to his parents.